The Coil-On-Plug (COP) ignition probe is the fastest way you can check Coil-On-Plug ignition coils and spark plugs. Coil-on-Plug extension leads are the simple accessory that allow you to take accurate secondary ignition measurements on Coil-on-Plug ignition systems. With the Mixmaster 12-channel automotive signal mixer you can view an ignition parade display of up to 12 cylinders on any lab scope. Mixmaster can produce a parade display of up to 12 cylinders using a single channel of your lab scope. If you have a 2-channel scope, then Mixmaster can also display 2 engine banks separately with up to 6 cylinders per bank. The TA000 test lead has been custom made for automotive use with PicoScope automotive oscilloscopes. Its length (3 meters – approx 10 ft) allows the oscilloscope to be placed on the work bench away from the car being tested or repaired. A wide range of probes, clips and gators can be plugged into the 4 mm connectors at the end of the cable. The PP198 has been designed to allow fuel injector and primary ignition waveforms to be measured using PicoScope oscilloscope products. Please note this attenuator should not be used for any high voltage measurements other than fuel injectors and primary ignition. Ideálne na meranie odberu v automobiloch. This current clamp will measure both AC and DC currents in the range 10 mA to 60 A. 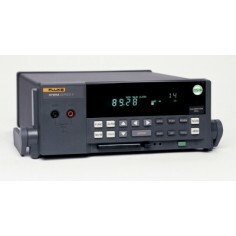 Features include a selectable calibrated voltage output. Supplied with 4 mm (banana) plug type connectors. TA007 – Piercing Clips The TA007 Insulation Piercing Test Clip set is ideally suited for automotive test and diagnosis. The piercing clips allow the user to provide the exact pressure needed to pierce the insulation of a wide range of wire types and sizes. 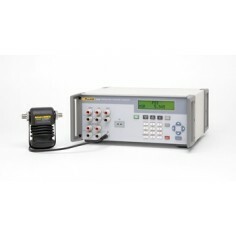 This passive high-impedance scope probe has a 250MHz bandwidth and high frequency trimming. 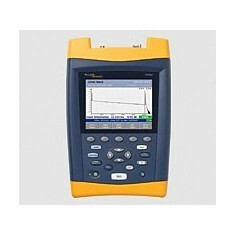 The TA057 is a CAT III rated differential oscilloscope probe that can measure up to ±1400 volts. The TA041 is an active differential oscilloscope probe. The probe permits the measurement of signals which are not referenced to earth using a conventional earthed oscilloscope. This enables mains voltages to be tested. The TA058 is a CAT I rated differential oscilloscope probe that can measure up to ±70 volts. The TA042, TA043 and TA044 are active differential oscilloscope probes. They let you use a conventional earthed oscilloscope to measure signals that are not referenced to ground, including mains voltages. Aktívna diferenciálna sonda. The TA042, TA043 and TA044 are active differential oscilloscope probes. They let you use a conventional earthed oscilloscope to measure signals that are not referenced to ground, including mains voltages. AC a DC prúdové kliešte, rozsah 200 / 2000A. BNC výstup. The TA042, TA043 and TA044 are active differential oscilloscope probes. They let you use a conventional earthed oscilloscope to measure signals that are not referenced to ground, including mains voltages. Aktívna diferenciálna sonda. Tieto prúdové kliešte umožňujú jednoduché a presné merania. The TA045 is a precision differential probe designed for low-noise applications. These very high-bandwidth 1.5 GHz probes are suitable for use with high-speed oscilloscopes and spectrum analyzers. Applications include digital communications and RF design. The TA061 has an SMA connector, making it ideal for use with PicoScope 9000 Sampling Oscilloscopes / Digital Signal Analyzers, while the TA062 has a BNC connector. The TA050 attenuator set consists of four coaxial attenuators designed for use with signals up to 1 GHz. Each attenuator has a male and a female BNC connector. The TA051 feedthrough attenuator is a coaxial terminator with BNC connectors. It is useful for connecting signals from 50-ohm sources into instruments with high-impedance inputs, such as oscilloscopes. These probes feature a shrouded 4 mm socket and allow you to hook your test lead on to components such as IC legs, or other small conductors. The hook can hold conductors up to 10 mm in diameter. Jednoosový akcelerometer na použitie s IEPE (ICP) zariadeniami na meranie vibrácií. Gumové púzdro na osciloskopy PicoScope série 3000A/B a 4000 ochráni osciloskop pred mechanickým poškodením. Sada - trojosový akcelerometer na pripojenie k osciloskopu. Attenuator 10:1 na zvýšenie rozsahu vstupného napätia pre osciloskopy. Veľká šírka pásma. Plastový kufrík strednej veľkosti s penovou výplňou vyrezanou pre USB osciloskopy.